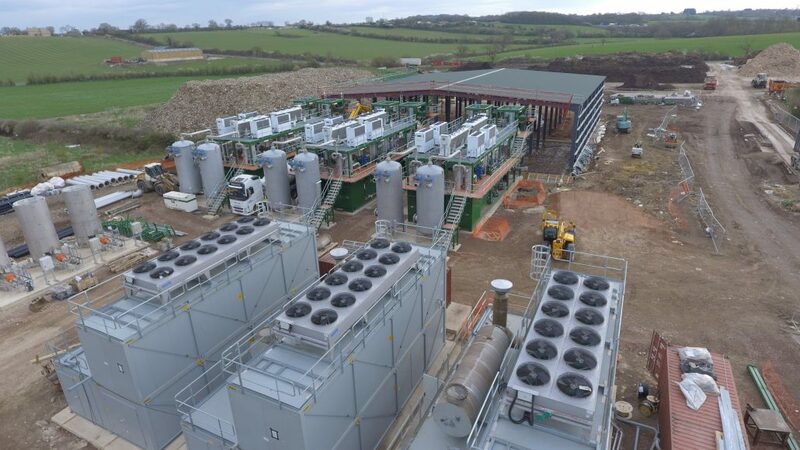 A major stepping stone to commercialization was achieved last week when the last of the three Jenbacher engines at the Swindon Energy site was run and tested. Having been witnessed by the DNO, it passed its G59 tests with flying colours. This process is undertaken in order to verify that the Swindon generating plant can safely work in parallel or synchronized with the mains electricity utility grid (National Grid) and all three engines have now proven that they can run and export power, using syngas manufactured from a feedstock of low grade construction/demolition wood. In the coming weeks, the commissioning engineers will work to optimize the engine outputs before the plant goes fully on line in the first quarter of 2018. Well done, team Refgas !! !